W. Goodrich Jones State Forest –1,722 AcresThis 1,722-acre forest, originally called State Forest #2, was acquired in 1926 by the Forestry Department of Texas A&M University System (now called the Texas A&M Forest Service). 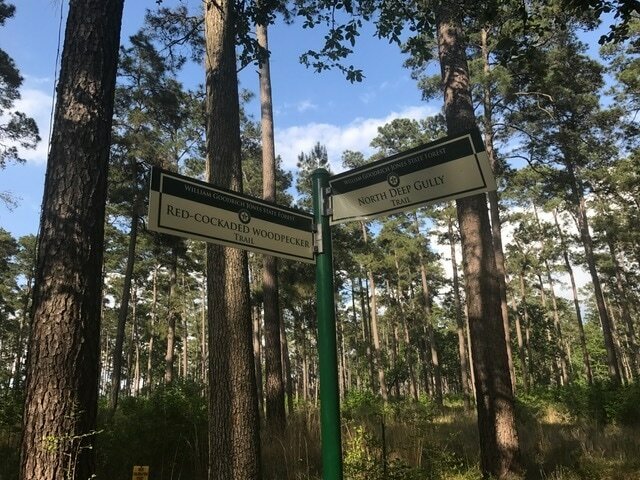 Like State Forest #1 (Siecke), funds for the purchase were appropriated by the Texas Legislature, with stipulations that the tracts be used for research, demonstration and education, serving as examples of working forests to Texas landowners. The property was first logged in 1892, followed by periodic harvesting for railroad cross ties until the acquisition by the Forestry Department. A wildfire severely burned the area in 1923, and reforestation activities began almost immediately with natural regeneration from native pines. 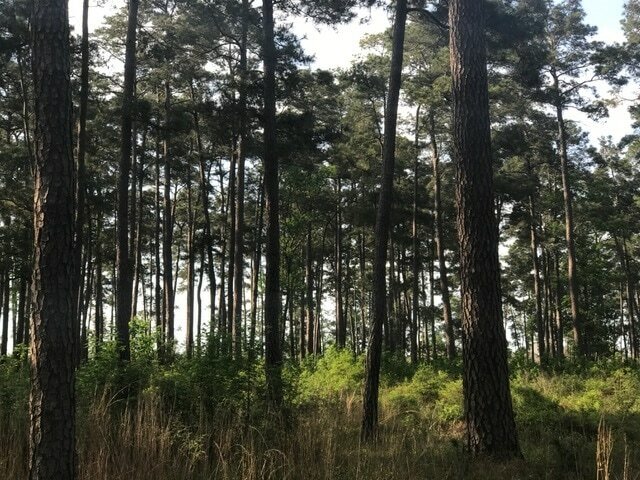 The second pine seedling nursery in Texas was established in 1927, with a capacity of 1 million bare-root seedlings per year. This use was discontinued in 1940 following the establishment of a modern facility at Alto, Texas. In 1933, a Civilian Conservation Corps camp was established on the forest. At the time, TFS planned and supervised the forest protection and conservation work of approximately 3,000 enrollees at 17 such camps across East Texas. Many of the original roads and fire breaks on the forest were constructed by CCC crews. The camp was closed in 1936. At a ceremony on May 19, 1949, the forest was formally dedicated and renamed the William Goodrich Jones State Forest, in honor of the Father of Forestry in Texas. Mr. W. Goodrich Jones, 87 years young at the time, made an acknowledging address to the crowd of dignitaries and family. Today, the Jones State Forest plays host to a large population of the red-cockaded woodpecker, a federally listed endangered species. Forest management activities focus on habitat protection for this important species of the southern yellow pine forest ecosystem. Present day research and demonstration activities include prescribed burning, reforestation, ecological restoration, habitat restoration, best management practice sites, hardwood management, silvicultural thinning studies and food plots for wildlife. Annually, nearly 100,000 visitors enjoy the state forest with school children from local and surrounding county schools attending several of TFS’s signature environmental outdoor learning classrooms. Forest resource education with demonstrations and nature study. Group educational tours available by appointment. The forest is open year-round during daylight hours only. Texas state forests are game sanctuaries with no firearms or hunting allowed. No restroom facilities except at main office building.